The City of St. Albert is the second-largest city in the Edmonton Capital region. Located along the Sturgeon River northwest of Edmonton, St. Albert has a population of approximately 65,00 residents. 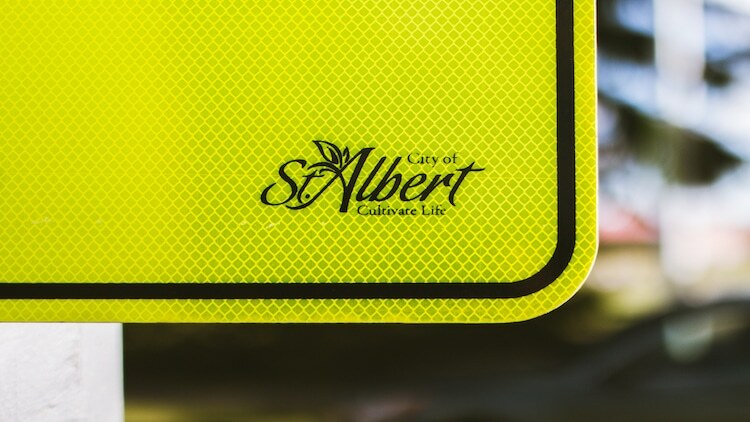 The City of St. Albert’s Transportation Master Plan (TMP) is a strategic document that guides how the City addresses and plans its current and future transportation needs for the next 27 years. The Plan, which was updated throughout 2014 and 2015, was presented to Council in April 2016, and sets the vision and actions for the transportation network until 2042. The TMP connects and moves people, goods and services throughout St. Albert in a safe, efficient and effective way. 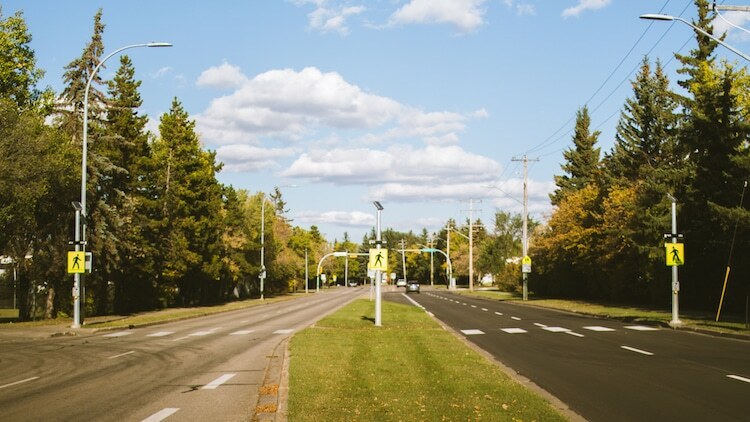 The City of St. Albert’s Master Transportation Plan has various components that relate to pedestrian safety, including the Safe Journeys to School, Neighbourhood Traffic Calming and Transportation Systems Management for larger improvements to arterial networks. 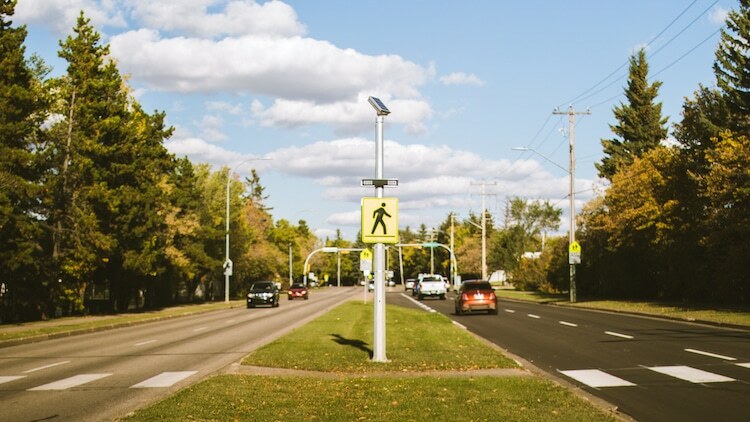 Pedestrian safety is a high priority in the community of St. Albert, as it aligns with their adoption of Vision Zero principles and their mandate to support a large and active transportation network that is safe for citizens. 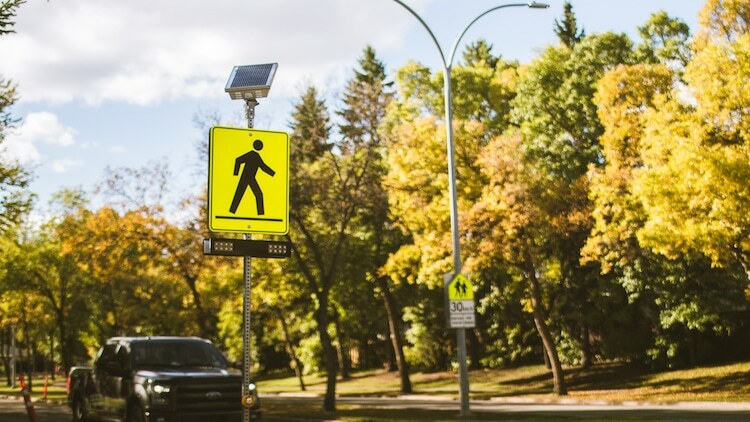 The City was looking to make crosswalk improvements to create greater visual awareness of network conflict points at pedestrian crossings, give greater capability for road users to “signal” or warn of their intents to cross the roadway and greater response ability from drivers. The crosswalk improvements represented the Engineering component of traffic safety, and when combined with further public Education on safety, Enforcement of poor road user behaviour (speed, non-yielding to traffic controls or pedestrians) and ongoing Evaluation, it provides a holistic response and action plan to address the results of the Engagement aspect of the Safe Journeys to School program. The City was looking for a strategic partner in traffic safety to address their pedestrian safety goals and objectives. That’s where ATS Traffic came in. 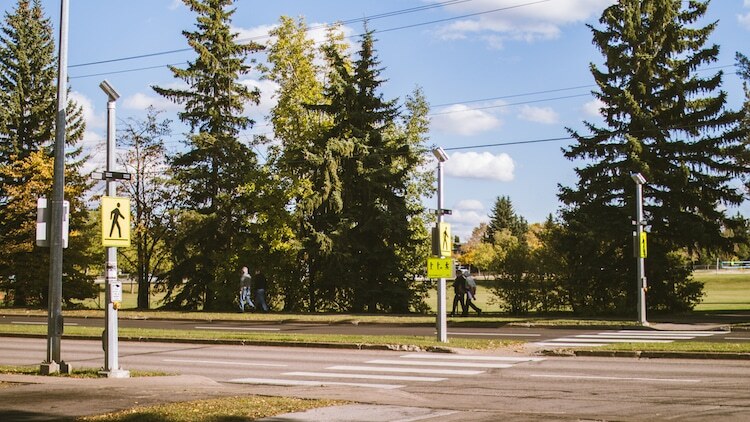 We worked with the City on various crosswalk improvements at a series of selected areas throughout St. Albert. 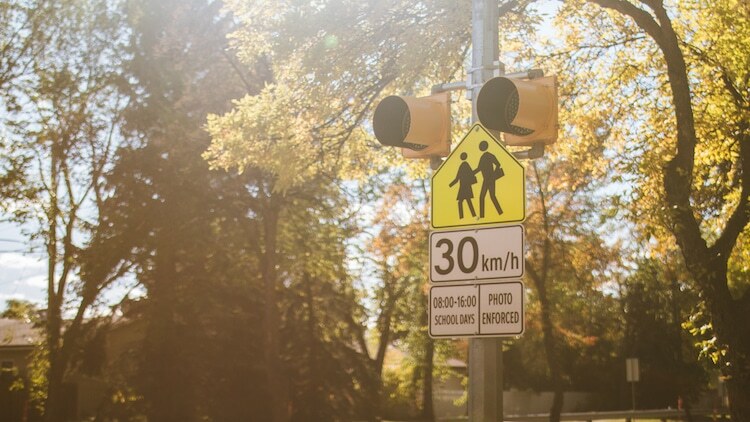 These improvements aligned with goals for the Safe Journeys to School and Neighbourhood Traffic Calming initiatives, as well as larger scale improvements to arterial networks as part of the overall City’s Transportation Systems Management. We also worked with their team to produce “Point, Pause, Proceed” signage for non-signalized pedestrian crossings throughout the City. The Carmanah R920 Rectangular Rapid Flashing Beacon is a pedestrian-actuated warning system for uncontrolled marked crosswalks. Supplementing crosswalk signs with an RRFB has been proven to increase safety and yield rates. This rapid flashing beacon is an improvement on the traditional crosswalk warning light because it uses high-intensity LEDs, which are exceptionally noticeable for drivers during the day and night. Their amber color and quick flash pattern (WW+S) make them easily visible when headlight glare, wet roads, or other situations create difficult nighttime lighting conditions. 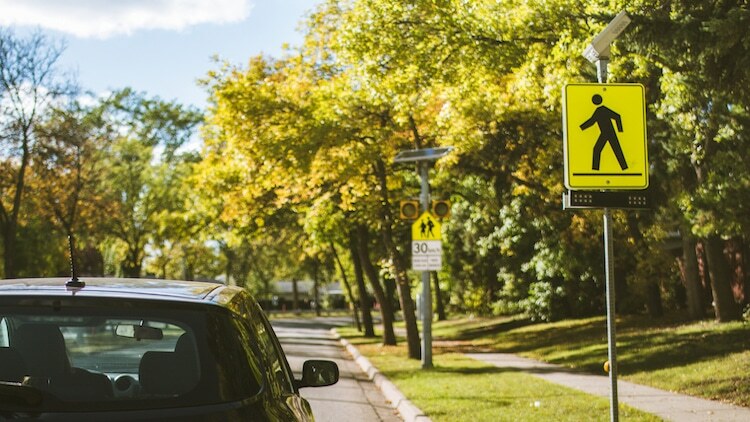 Non-specialized school maintenance crews can add this compact flashing beacon to existing school speed limit signage, making installation fast and simple. With no grid connections required, the beacons reduce both installation and long-term operating costs. The battery, energy management system, and solar panel are contained in one unit, making this a self-contained solution. It’s also built to last: durable and dependable, this product comes with a 5-year warranty for peace of mind. The pedestrian improvements aligned directly with key City programs including Safe Journeys to School and Neighbourhood Traffic Calming. The larger pedestrian improvements made to the arterial network are relative to delivery on a Transportation Systems Management program, and are one part of a larger strategic plan for traffic safety. 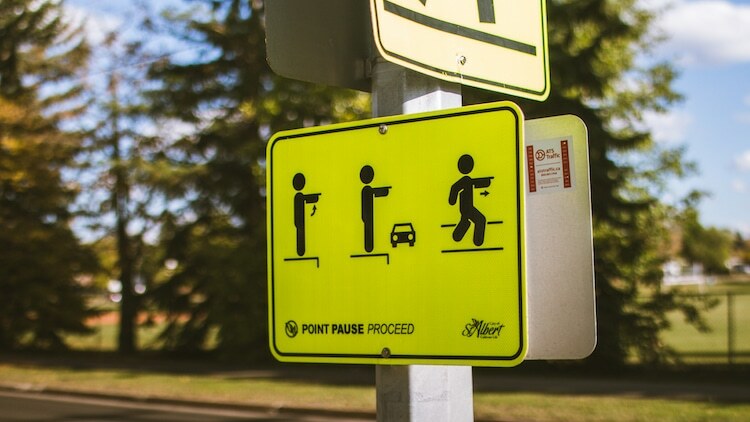 As a whole, the community response has been both supportive and appreciative of the majority of pedestrian improvements implemented – particularly around warning systems such as RRFBs. There have been multiple requests to expand their use into more neighbourhoods across the City!